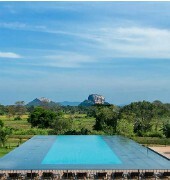 Aliya Resort and Spa is a four-star hotel placed in the heart of the Cultural Triangle in the Sigiriya area and just opposite to the Sigiriya rock fortress. 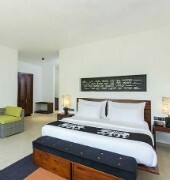 Each room is furnished with air conditioning, LCD TV with satellite channels, mini bar, tea or coffee making facilities, electronic safe and private bathroom with separate shower and bath tub. 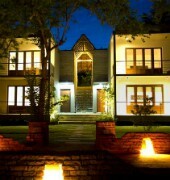 Dining options include 4 restaurants serving local Sri Lankan and international cuisines. 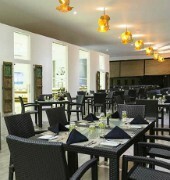 Guests can also enjoy the coffee, cocktails and soothing jazz music at the bar. For relaxation and rejuvenation, the hotel offers a range of facilities like the fully equipped gym, outdoor pool, badminton court, night club, karaoke and a spa providing therapeutic and traditional holistic Ayurvedic treatments. 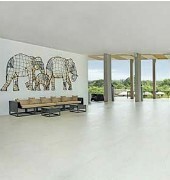 Some of the popular places of interests in the area are the Minneriya National Park, Polonnaruwa Archaeological Ruins and Kaudulla National Park. The Bandaranaike International Airport is approximately 150km away from the hotel.